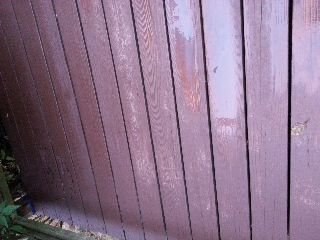 I spent the better part of two days prepping, cleaning, and staining our back deck. It looked great! Then it rained. Now it looks not-so-great. Hopefully one more coat will fix it, once the rain stops - which may not be until May! Lesson learned...don't take chances with fickle fall Western Washington weather!